Hypnosis: Your Own Health Insurance – see 400 pieces of research that show that it works. Hypnotherapy is the word we use when we conduct therapy in the hypnosis trance state. You will understand that hypnotherapy works, not only by the information below that explains why, but also from clients who will tell you on other pages that it worked for them. Hypnosis is like having your own health insurance. Get rid of the negatives from your mind and you release toxins from your body. Bring in the positives and you release endorphins that heal your body. Hypnotherapy has withstood the test of time. In the early days people didn’t understand how it worked – but it did (even though it may have been attributed to the wrong reasons). The process can be called Neuromodulation which is defined as the physiological process by which a given neuron uses one or more neurotransmitters to regulate diverse populations of neurons. By regulating neurons we change how they work. But for the average person like you and I, all we want to know is that hypnotherapy works – and how does it work? There is plenty of scientific research shows that hypnotherapy works and it makes one wonder why it isn’t used more by traditional medicine using professional people that know how to effect change. ‘People Power’ will eventually make that happen as more people want to create changes in a natural way. Here is what Professor Peter Whorwell, Gastroenterologist who heads the only NHS-funded hypnotherapy centre in Britain says, (which has been pioneering the hypnotherapy as a treatment of irritable bowel syndrome). “One of the problems is the name. If we started off again with a name like neuromodulation, for example, it would be more readily accepted. The name hypnotism has so much baggage attached. Cognitive behavioural therapy is now reasonably well accepted, and so, too, is psychotherapy, but of the three, I would say hypnotism is potentially the most powerful. It is becoming a treatment of choice for IBS. So… Hypnosis Works or Neuromodulation Can Make The Change? something and enjoy the taste. until they are brought to the conscious mind. 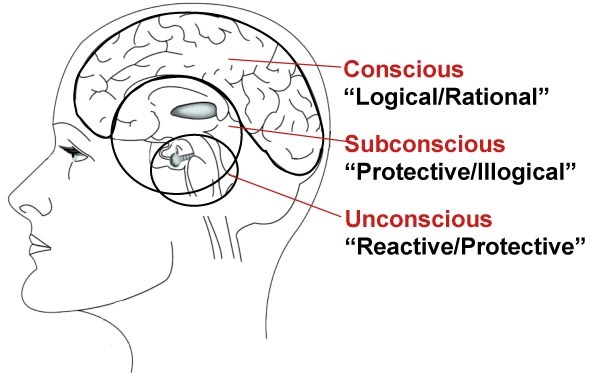 In hypnosis, we can ask the subconscious to release chemicals under awareness from the conscious feelings, as well as change the neural connections that have been made at a time when a person used to smoke. In hypnosis, we can go forward a number of years as a non-smoker and come out feeling like a non-smoker at the end of the session. If you look at the client video testimonials you will see one person who smoked 45 a day and up to 90 on a weekend day. He smoked for many years and yet gave up in one session. Another video, a client told me that after he came, 8 other people, all came one after the other and every one of them stopped the smoking habit in one session. And we ask why hypnotherapy works? The same can be said for food, alcohol or gambling. All things that our conscious mind analyses as being too hard to release. (sometimes or maybe even often the conscious mind has endeavoured to use willpower and not succeeded, and hence believes it is too hard to change. The subconscious doesn’t have such problems. It can put in full up feelings when you have had enough to eat. In alcohol which we often use as a band-aid to cope with our anxieties and stresses in life. Release the anxiety and stress, and ask your subconscious to put in a stopper after a couple of drinks which will seem sufficient now. The same can be said for any coping method, i.e. food, alcohol, gambling or anything else. Find out the real reason for gambling, release the early reasons that triggered the need to gamble, and the subconscious can make the changes from being a gambler to being a non-gambler. Have stress and anxiety, or panic attacks from some happening in your life, and I can work with your subconscious to release these feelings – even from as far back as childhood. It can even be from a past life. When you see these things, ask yourself; Does Hypnotherapy Work? These people couldn’t have made the changes if it didn’t. The subconscious doesn’t evaluate whether it can or can’t, it works on feelings and emotions – it can just put things into place. But it can be just as stubborn as your conscious mind. If it doesn’t put things in place, there is usually a very good reason that I/You haven’t yet worked through. You don’t have to be a deep hypnosis subject to achieve most things, i.e. Smoking… Weight… Insomnia… Anxiety… Panic… etc. But if you wanted to achieve pain control from an injury, or you need root canal work without an anesthetic, then if you are not able to go deeply into hypnosis, you may need to learn self hypnosis so I can teach you how to go to a deeper state where you can put your mind elsewhere, to make that happen so you don’t feel any pain. To learn more information take time to look at some of the health issues where you can read case studies about people just like you and me who have created changes through the use of their mind. Sometimes we might think; “Talk is cheap, how do I know this is true?” That is a fair enough question. 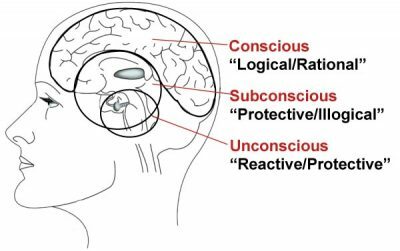 If you would like to read a research item, click your mouse on the research article: ‘The Unconscious Mind’? Stage Hypnosis is not Hypnotherapy. Hypnotherapy requires that the therapist has the knowledge and skills to create therapeutic changes in the hypnotic trance state. Many see it as the mind being taken over by the hypnotist and loss of control, which is completely wrong. Don’t go expecting me to make you cluck like a chicken, that is not what I do – I am here to make changes with you so that you can look forward to having a healthy and happy life. Health is my and your responsibility. And to prevent ill health is more important than waiting until you are ill and then trying to get help to get over your illness. I stopped smoking when I knew even though I only got bronchitis once a year – it was harder to get rid of each year. That is the Universe giving me a nudge, telling me that something needs my attention. Giving up the smoking habit was the best thing I ever did for my health [Now some 30 years ago]. Check if your health fund covers you for hypnotherapy. Remember that a health fund is an insurance company that insures health, and like anything you buy, you can write them a letter to your fund and ask them to cover hypnotherapy by a trained professional like myself, or as a consumer, you can shop around for the best deal by looking at what other health funds have to offer you. To assist you with relaxation, pain management, ceasing smoking, releasing weight, fear and anxiety give your immune system the edge in getting well. Don’t forget to eat the right food as well, and only have a couple of glasses of drink, your liver and kidney will thank you and you won’t pile on the weight. You only need 1X4 minutes exercise three times a week to be healthy, or 4X4 + minutes exercise a week to be healthy and lose weight – Ask me how. Something else you wish to know? Don’t hesitate to go to my website ‘Contact page’ and write to me. You can download the form you will need to fill in on your first session from my ‘Book Now’ page and make a booking at the same time. Quote “My deepest gratitude for your spiritual guidance. The universe works in mysterious ways – when you let go of ego, fear and attachments, it gives back many times in return. From a dark place at bottom of the pit, to the space of unlimited possibilities. You can access to view video and other written testimonials from the home page.